Topography:Tadepalligudem is located on the National High Way (Freeway) .Geographically it is a central place in West Godavary District (A.P.) India. Tadepalligudem is connected by all kinds of public conveyance. One can reach Tadepalligudem from any place in India for it is connected by railway ( main track) and roadway(freeway). Most of the express trains and link trains will stop here. It was mainly a business center rather than educational center. Of late more educational institutions, including engineering, are cropping up. Tadepalligudem is located in between Vijayawada and Rajahmundry also very nearer to Eluru. Tacing back to the importance of the place in His love:Beloved Baba visited Tadepalligudem on 17th January 1953. He reached Tadepalliugudem by Kakinada Coach at 7-30 pm and rested for 5 minutes on the Tadepalligudem railway station platform. Dr. T. Dhanapathirao Naidu garlanded the Beloved. On 18th at 9.10 am, in the house of Dhanapatirao, Beloved washed the feet of seven poor people, bowed and gave fifty rupees each. On 19th Baba gave ‘Darsan’ to the people. Beloved prayer song “ Namoo Meherbaba” was sung by Sri Bhaskararaju in Telugu (who was blessed by the Beloved in drawing His lifesize paints, poems and songs on the Beloved). Dr. Dhanapathirao Naidu was the president of Meherbaba Andhra Center and he was blessed and was given the oppurtunity of introducing the Beloved to Andhra first ( Baba used to call him as grand old man of Andhra). Beloved Baba visited Tadepalligudem second time in February 1954. On 25-2-1954 Baba’s “Sastipurthi ” ( the function which will be conducted after completion of 60 years age) was celebrated in the house of Dr.Dhanapathirao Naidu. His lovers washed Baba’s feet with “ panchamrutham” ( a liquid composed of milk, curd, ghee, honey and fruitjuice). Thus Tadepalligudem was blessed by the Beloved in this way. Coming to the present:For a long time Beloved’s prayers and Bhajans were carried on in the houses of His lovers , mostly in the house of G. Bhaskararaju who happens to be the Secretary by that time for the erstwhile center. Due to the efforts of some of His lovers the present center was constructed. 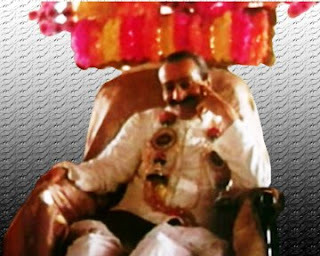 Sri G. Jagapathiramaraju who was completely transformed in his life and nature, became stauch lover of the Beloved and gave about 725 sq.yards for construction of Avatar Meher Baba Tadepalligudem center. Another Beloved’s lover Dr. Yalamarthy Rama Narasimham ( who is a Homeo doctor and served the poor with his loveful treatment, and spread His love) was the chairman of receiption committee taken lead in the task. Due to their efforts donations were collectded and the center was constructed. The center was opened on Feb 11 th 1985 ( on the day of demise of Dr. Dhanapathi rao Naidu) Sri G. Jagapathiramaraju was the President. 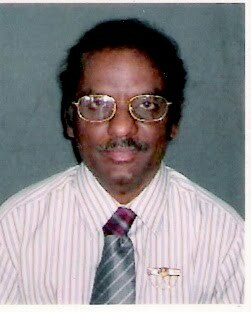 Mr. Y.Vijayasaradhi was the then Secretary ( who started a new center in 2000 AD i.e., at Ramaraopet ,Tadepalligudem). Activities:Regular Prayers and Bhajans on every Sunday at 6 pm to 8.30 pm. Special programmees on the occassions like Silence Day , Navajeen Day, Mehera’s Birth Day, Amartithi, and Beloved’s Birthday etc in the Center. Special gatherings and sahavas are conducted in the houses of His lovers and devotees during the Beloved’s birthday celebrations every year to spread His messages and love in the vicinity. At the interval of evey two or three years tours are orgnised with the Baba lovers (existing and new entrants) to Meherabad (Home) to enjoy His Love. Center’s location:Avatar Meher Baba Tadepalligudem Center is located Near D.S.Tank, Subbaraopet and a few steps before Ramalayam. 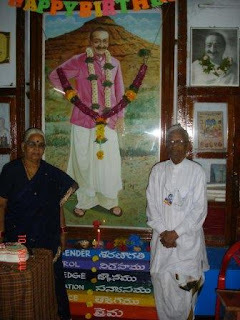 About Sri Balagopala Bhaskara Raju He is a lover of Beloved Baba and was blessed with His love.He painted life size photos of Beloved Meher Baba when the technic of printing is not fully developed. 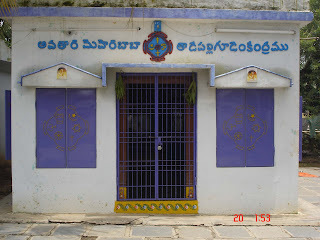 In Andhra Pradesh many centers of the Beloved have the photos painted by him. He wrote many songs on the Beloved and published album sung by the famous play back singers. He had the physical Dharsan of Beloved and was blessed to spend with the Beloved. Beloved Baba visited his house in Tadepalligudem. Bhaskara Raju is a committed and convicted Baba lover. . Present executive body members:Sri G. Ramaraju ( son of G. Jagapathiramaraju) President….Contact No.